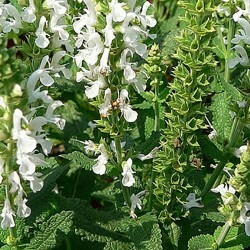 Salvia There are 2 products. 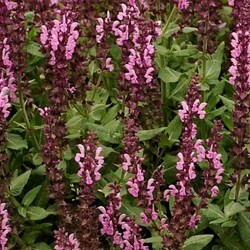 The most pink salvia nemorosa! Extremely floriferous new variety. Great ears bright intense pink compact. Massive and bins. Culture easier sun in ordinary soil. Indispensable dry garden. A rating of ice to cool the sunny mountains. Extremely floriferous new variety. Large pure white compact spikes. Massive and bins. Culture easy even ordinary stony ground. Indispensable dry garden.